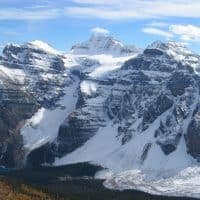 A great opportunity to climb one of Alberta’s highest peaks during the 2018 summer solstice. 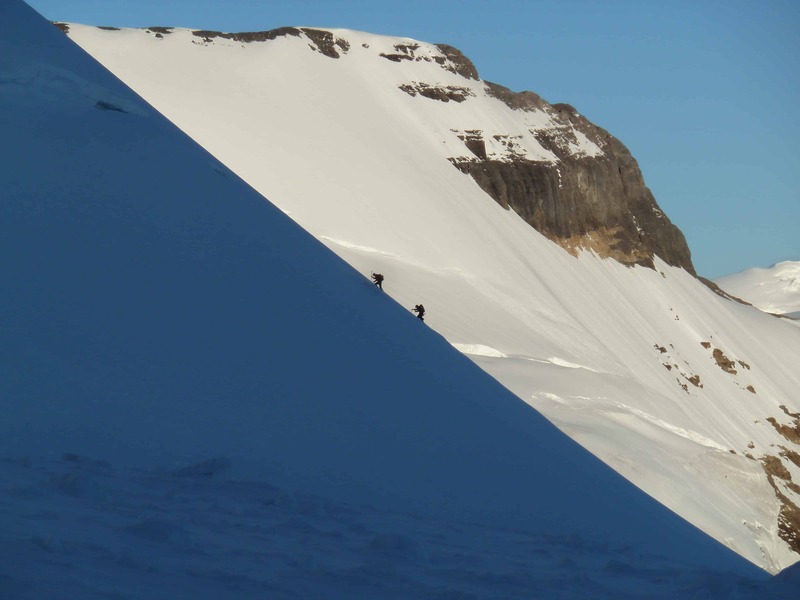 Saturday will be a skills day which may include climbing a smaller peak. 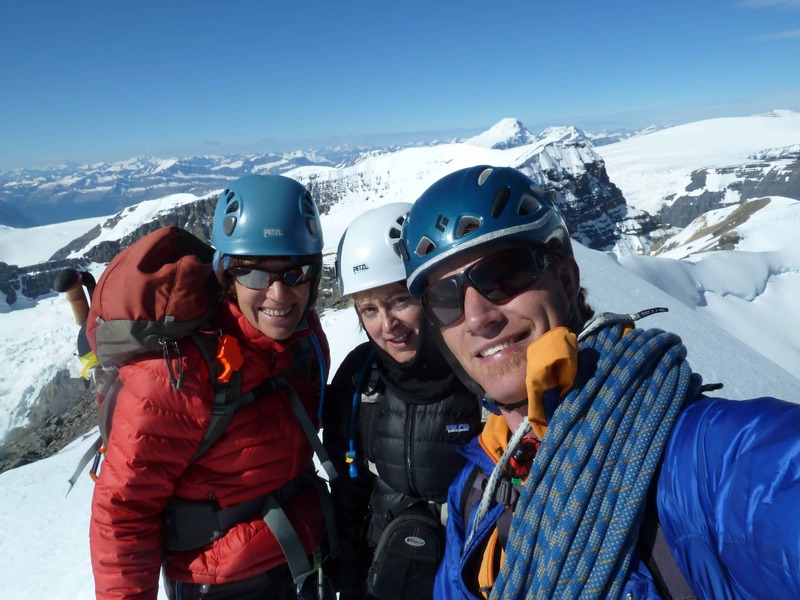 Skills will include: ice climbing, glacier travel, crevasse rescue, rappelling and ice screw anchors. 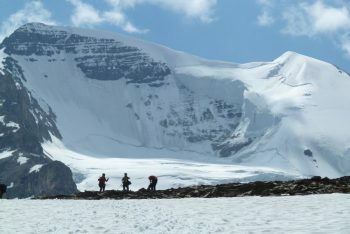 Meeting time is 8:00AM on day 1 at the ice fields campground in Jasper National Park, the group will be car camping at this location. 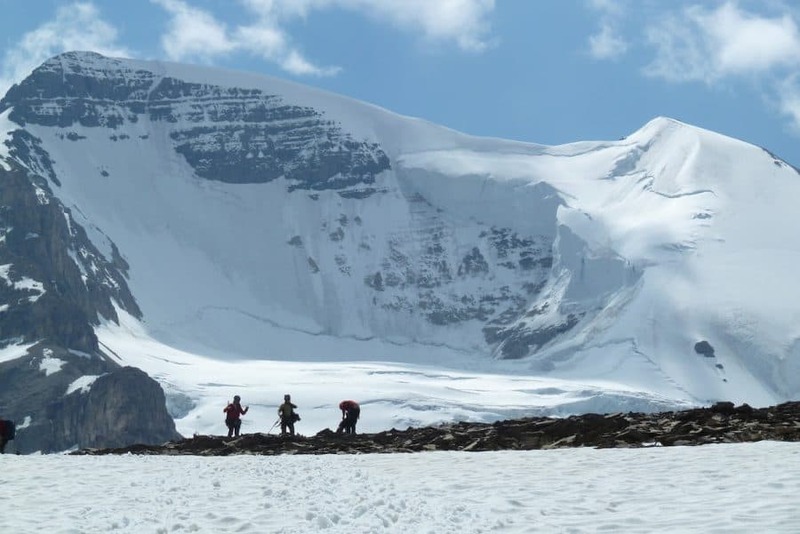 Sunday the group will attempt Mt Athabasca (3491m), it will be an early start leaving camp around 4 a.m., so take the time to condition yourself the week before. 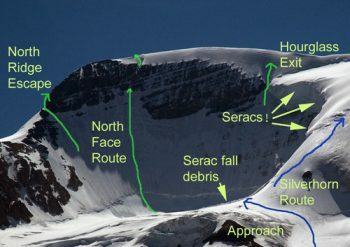 If Athabasca is unattainable for whatever reason, one of the many other lower peaks will be attempted. Minimum experience is strong hiking and or scrambling experience. This course suits all levels of climbers from beginner to advanced and a great way to further your skills. A detailed trip package will be emailed once payment is received. Similar to the Summer Solstice addition, one extra day to allow for in depth learning and practice. On day two or three and attempt of Mt Athabasca will be made, conditions dependent. Mt Andromeda add on $299.00 pp + tax based on 2:1 ratio. If you are interested in Mt Andromeda add on for Monday June 10th or 24th or a custom date contact Jeff if you are interested (meeting the eve before at ice fields). WOOL / BLEND SOCKS clean socks for each day. Wool or fleece LONG SLEEVE SHIRT. Heavyweight fleece or insulated/down JACKET. Water proof OUTER JACKET with hood (Gore-Tex). Waterproof OUTER PANTS, preferably with side zips on legs. Waterproof knee-length GAITERS that will fit over large boots. Waterproof mountaineering GLOVES or wool / fleece mitts /gloves plus waterproof over mitts, two pairs. 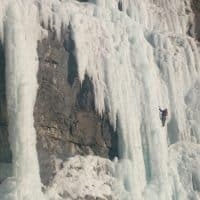 MOUNTAINEERING BOOTS: You will need proper mountaineering boots designed specifically for this use. Most hiking boots are not suitable not being firm enough, waterproof and not made to take crampons. Mountaineering boots are made from leather or plastic. Leather boots have either a semi-rigid or a rigid sole. Plastic boots have rigid soles. The most important feature of a mountaineering boot is comfort followed by performance. If buying try a few different pairs and if they are not comfortable don't buy them. There are many good brands. 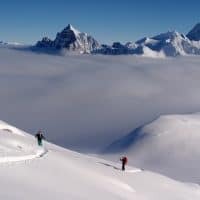 They include Asolo, Kayland, Koflach, la Sportiva and Scarpa..
ICE AXE: For intermediate and advanced ascents an ice axe with a curved pick is best suited, 55cm-65cm. 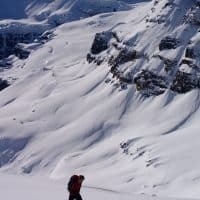 12 POINT CRAMPONS which must fit your boots. SUNGLASSES with good UV protection, 'glacier glasses'. FIRST-AID Items (band-aids, ibuprofen & aspirin / Tylenol is enough as we will have a kit also).